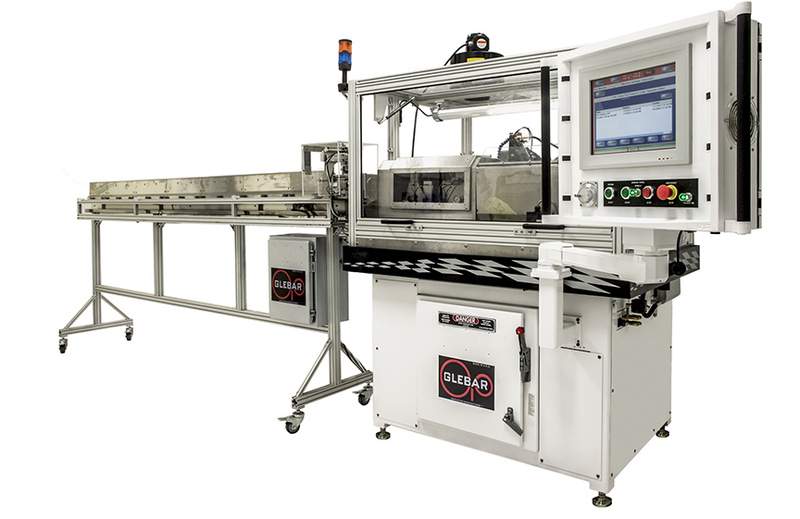 The CAM.2 machine has several modes of operation configurable for different shaped guidewire geometries. In this case, combination of the modes were utilized to successfully grind this part. In the first mode, a profiled grinding wheel is employed to maximize material removal for taper transitions and shorter cycle times. Although the majority of guidewires are configured with linear tapers, some contain sharp transitions that require an abrupt change in diameter. By installing a secondary spindle (mode 2) with a second grinding wheel, sharp transitions were easily made without sacrificing cycle time. The primary wheel was configured for rapid grinding while the secondary wheel was configured to produce the sharp corner. This process reduced the part-to-part cycle time by 2x. A programmable part extractor (PPE) was also incorporated to position the wire rapidly and accurately to the start of the next wire (multiple wires were run from a single length of wire) further reducing the part-to-part cycle time.